A timeless best seller! 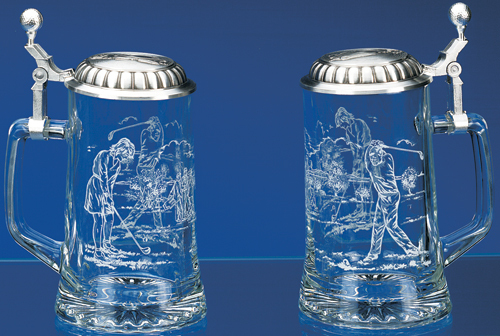 This stein features a high-fired etched-style wrap-around print of a male golfer on one side, a female golfer on the other side and a group of golfers on a fairway between them. The embossed pewter lid features a detailed golf bag. The pewter thumblift is in the shape of a golf ball.